Alex Eisen/MDN Minot State freshman Zoya Robbins stands in the batter's box Saturday morning against Minnesota Crookston inside the air-supported dome at Herb Parker Stadium. 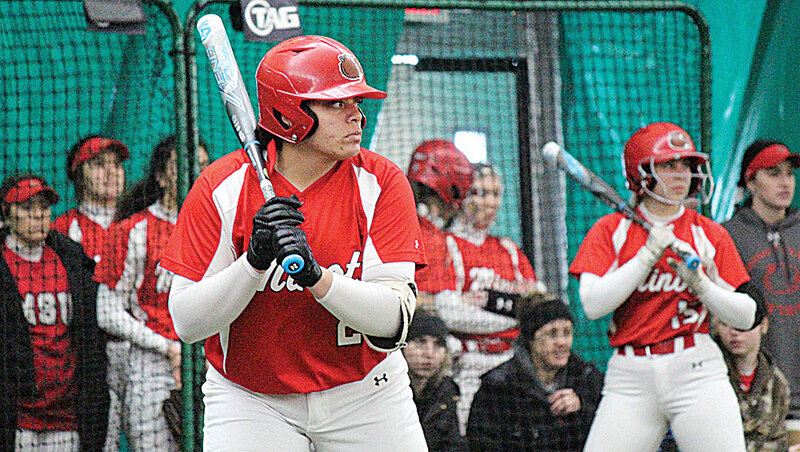 The Minot State softball team made a strong first impression Saturday morning in its home debut inside the air-supported dome at Herb Parker Stadium. 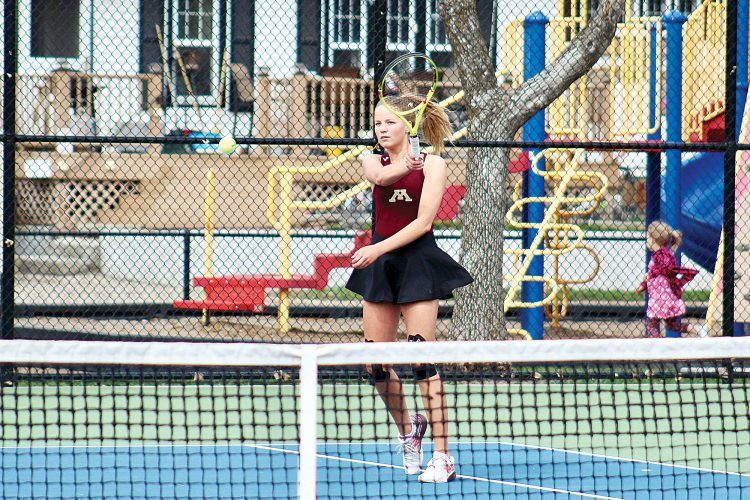 The Beavers (3-2) displayed power in a 5-2 win over Black Hills State (0-2) and then dominate pitching in a 1-0 win over Minnesota Crookston (1-1) to kick off a 14-game homestand over the next six weeks. Game 1 against Black Hills State provided the unveiling of MSU freshman pitcher/slugger Zoya Robbins to the MSU supporters. While she had some hiccups in the circle, Robbins was lethal with the bat. BHSU’s Morgan Smith drilled an RBI double down the left field line to open the scoring in the top of the second inning. 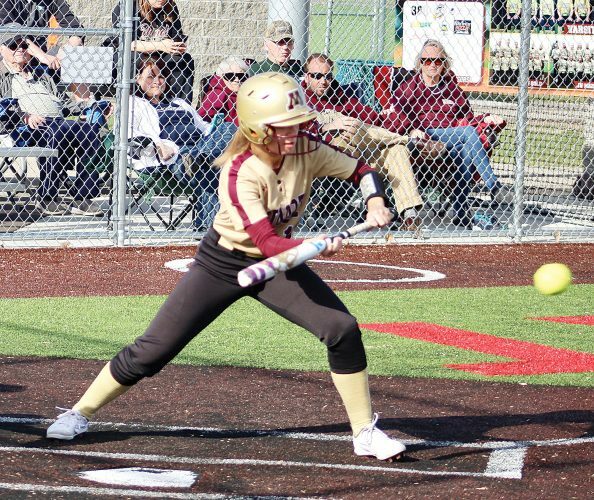 In the bottom half, Robbins quickly made up for the run she had just allowed with a forceful swing — connecting on a 2-0 pitch for an opposite way two-run home run. It was the Beavers first home run this season and the first in Robbins’ collegiate career. MSU’s 2-1 lead was short-lived. BHSU snuck through an RBI single in the third inning to tie the game. But it couldn’t have been a lot worse, as Robbins got out of a bases loaded jam to close out the inning. Looking to regain the lead in the bottom half of the third, MSU freshman Maggie Mercer took off from third base on a ground ball to the shortstop and was thrown out at home plate after sliding underneath the batter’s box mat. A string of 10 straight batters across both teams was retired before Randi Wright followed in Robbins’ footsteps. The MSU freshman outfielder pulled her first collegiate home run to right field on the first pitch to lead off the bottom of the fifth inning. The Beavers added more run support later in the inning with a two-out RBI double by Alina Gonzalez, 4-2. Robbins wrapped up the contest in the circle for her second win (2-1) and, for good measure, smacked her second home run of the game to center field in the sixth inning. Robbins outscored BHSU by herself, going 2-for-3 at the plate with three RBIs. She threw a complete game, allowing six hits and one earned run. 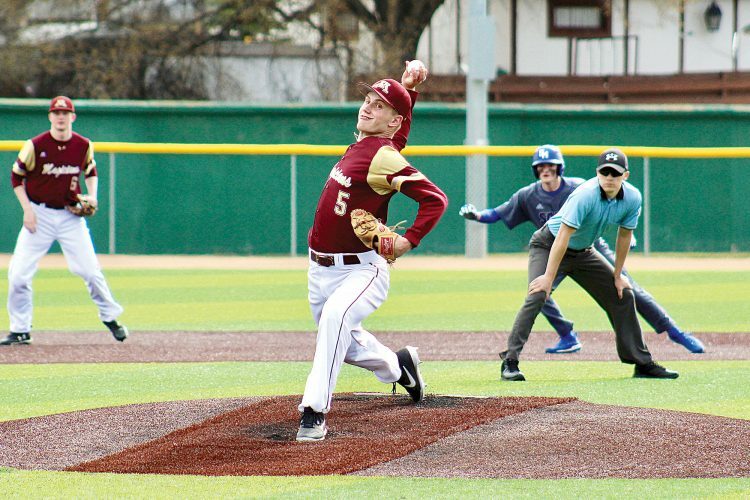 Game 2 against Minnesota Crookston was a pitching duel. MSU senior Laura Mendez went pitch-for-pitch with Crookston’s Paige Pitlick in a scoreless standoff for six innings. The breakthrough finally came in the top of the seventh. The Beavers, playing as the road team, loaded the bases with one out and got a game-winning RBI sacrifice fly from freshman shortstop Maggie Mercer. 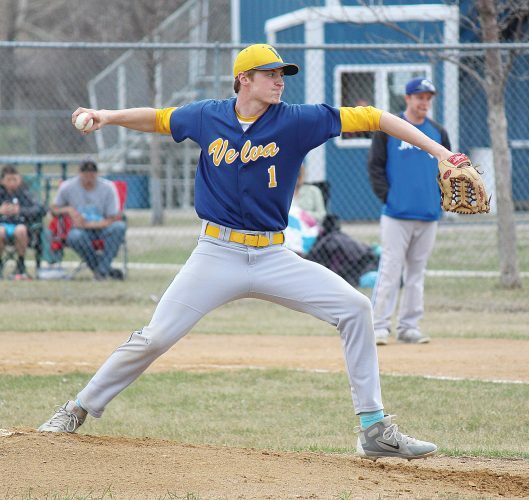 Mendez threw a complete game shutout, allowing just two hits. 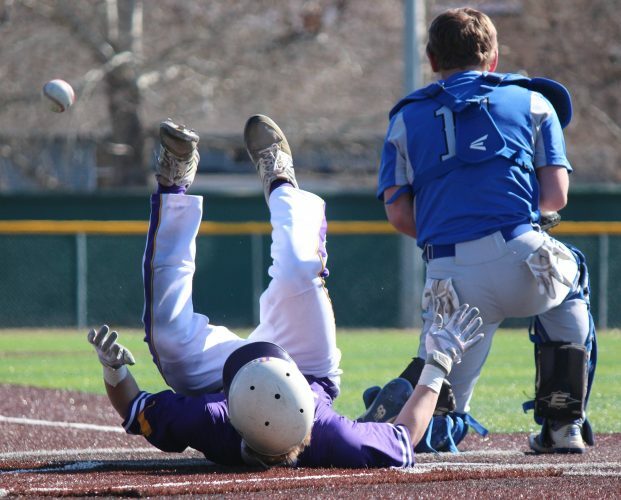 The Beavers were held to three hits. The Beavers will repeat Saturday’s schedule again this morning, facing Black Hills State at 9 a.m. and Minnesota Crookston at 11 a.m. inside the air-supported dome at Herb Parker Stadium.